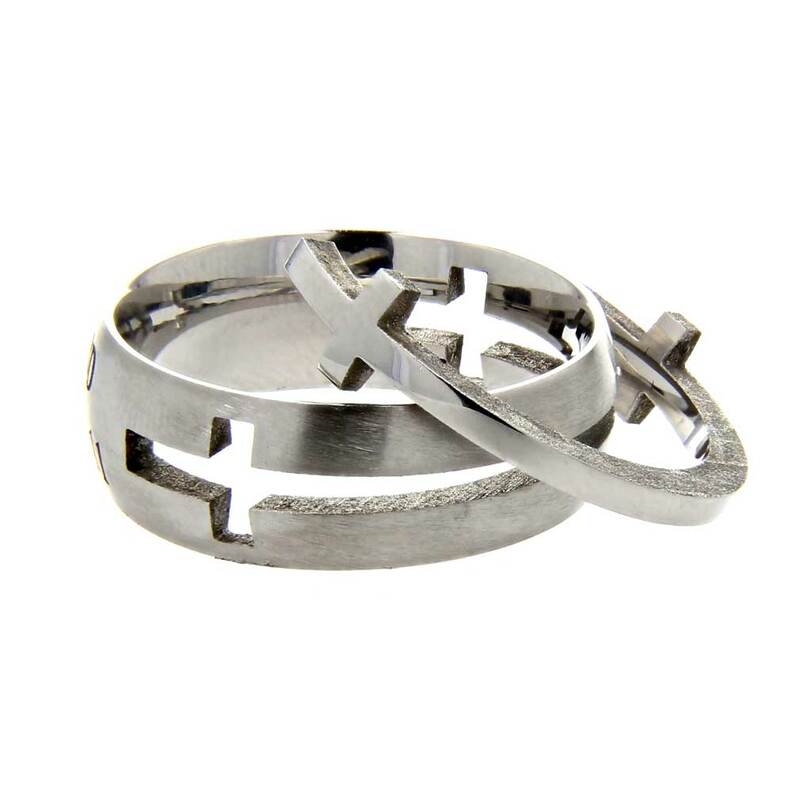 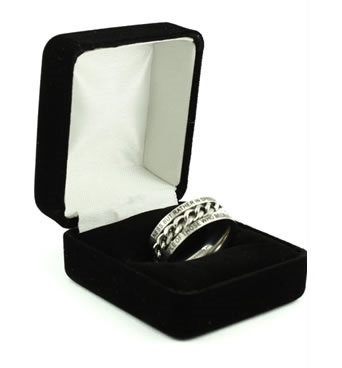 This ring has two crosses on a single piece of stainless steel that fits in a black or silver stainless steel band like a puzzle. 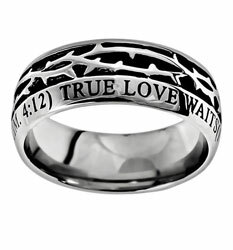 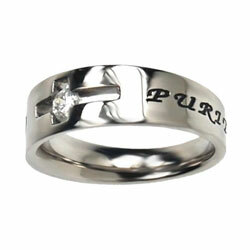 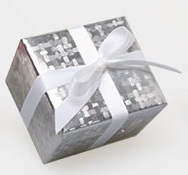 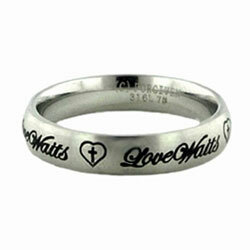 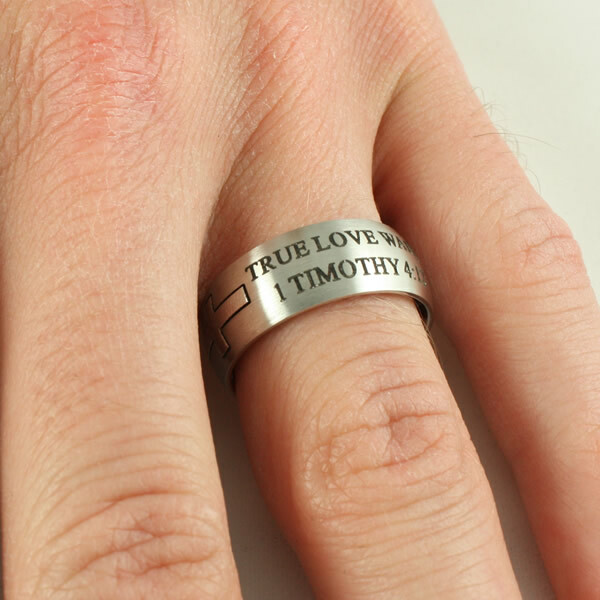 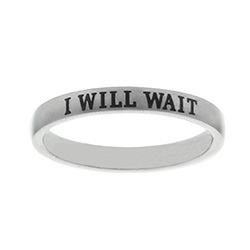 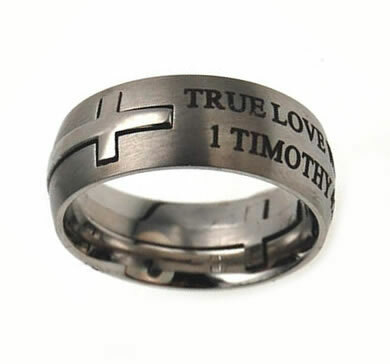 "True Love Waits - 1 Timothy 4:12" scripture is plated into the ring. 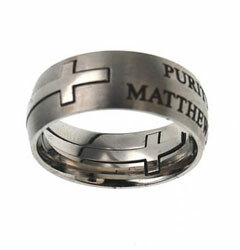 High polished double cross runs through the entire band. 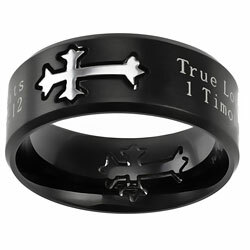 Comfort-fit 8mm band made by Spirit and Truth.